Afrik Bawantu is a 10-piece handpicked funk orchestra formed in 2007 by Ghanaian vocalist and djembe drummer, Afla Sackey. Their unique blend of vibrant African rhythms with fast, animated horn sections and heavy bass lines brings a whole new definition to the Afro-Funk genre and captivates audiences from all walks of life. AfrikBawantu released their EP ‘Noko Hewon’ in February 2013 to huge critical acclaim, and have since been nominated in the World Music Network’s April charts.In 2014 their highly anticipated debut album ‘Life On The Street” shook up the new music scene due to gifted musicians and the unique and original style of Afla Sackey's compositions. Colorful and groundbreaking, the energy spread by their music fills up the dance floor, building up their unmissable reputation. In the same way that the blend of couscous spices surround us with its exotic fragrance and exquisite flavour, CusCus-Flamenco´s music fills us with enchantment and mystery, sentiment and spirit. The profundity of the flamenco singing and Arab-Andalusian lyrical poetry in their purest form, accompanied by the beauty and passion of flamenco dance makes for an unforgettable and unique experience. CusCus Flamenco is a cultural encounter where art flows in its maximum capacity, bringing out the best of each tradition through a musical language that has neither barriers nor frontiers. CusCus Flamenco is led by singer/violinist Hamid Ajbar, originally from Morocco, but based in Spain for over twenty years. He grew up in a musical environment in his hometown of Chefchaouen, which boasts a direct legacy of Andalusian music, transmitted through generations ever since the expulsion of the Muslims from Spain. He studied both Andalusian and Arab singing for over ten years and has won several prizes on a national level in Morocco for his singing. He has collaborated with some of the greatest flamenco artists including the late Paco de Lucia, Carmen Linares, Jose Merce, and El Lebrijano. He has taken part in several festivals in Mexico, Switzerland, Portugal, Algeria, Morocco, Italy, Tunisia and Spain, and is currently planning a UK tour for next year. Alberto Funes is a flamenco singer from Granada who was one of the first to graduate in the Cristobal de Morales Conservatory of Seville under the modality of flamenco song. He continued his studies with El Pele, Paco Taranto, Marina Heredia and Calixto Sanchez, amongst others, and has taken part in many festivals and events worldwide, including the Flamencura Festival in Moscow, the Biennale in the Netherlands with "A Palo Seco" by Sara Cano, the Biennale in Rome, the International de la Musique Andalouse Almonastir (Tunisia) and others. Irene La Serranilla was born in Madrid. From a young age, she studied flamenco dance and continued her studies in Granada and Seville, where she learned from some of the best masters, including Juan Amaya, La Farruca, Patricia Guerrero, La Moneta, and Manuel Liñan. She has been dancing in the best tablaos in Madrid and Granada for over eight years. Her style of dancing is both traditional and expressive, and she teaches flamenco dance in her own school in the traditional Albaycin quarter of Granada, placing the main focus of her classes on the comprehension of the language of flamenco as an art form, and also the pleasure of dancing. CusCus Flamenco includes musicians from both cultures, including flamenco guitar (Lolo de la Encarna), violin (Fathi Ben Yakoub) percussion (Mouhssine Koraichi) qanun (Aziz Samsaoui) and flamenco dance. Dancers that have collaborated/are collaborating with CusCus Flamenco include Irene La Serranilla, Cristina Aguilera, Irene Rueda, Kika Quesada, and Eva Manzano. Our first evening Jazz of the year with 'The Cosimo Matassa Project. The band are made up of some of London's finest session musicians, brought together by their mutual love for early New Orleans rhythm & blues. reservations@thelondonjukebox.com | Call the venue - 020 348 99 060. Lokkhi Terra With two Bangladeshi Vocalists. Bangladeshi music traditions with those from Africa and Latin America - creating a sound that can truly be called "world music". Be transported to New Orleans once again with this fiery musical troupe stomping out Country Blues from the Deep South on the cobbled streets of London. Award winning pianist Rekesh Chauhan brings together soundscapes from bustling Bombay to New York Jazz. 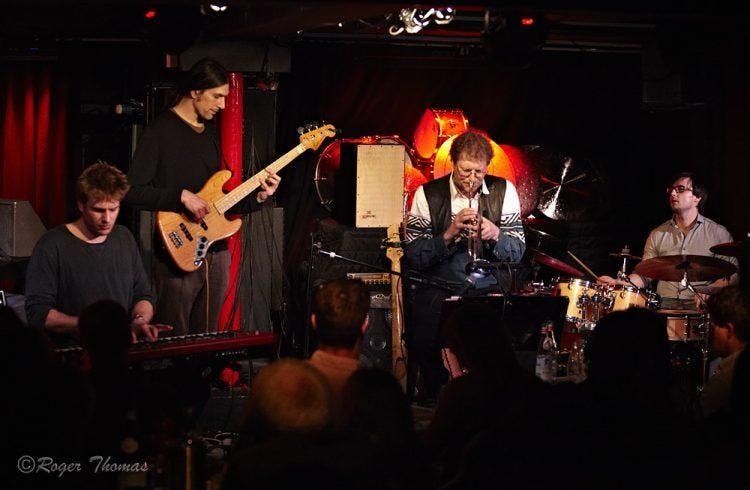 Teaming up for the evening with highly versatile international musicians Aref Durvesh (Nitin Sawhney, Sting) and The Flute Guy to bring you a dynamic and electrifying world music experience. Rekesh Chauhan is a British Indian pianist and composer. Having studied western classical music on both the guitar and piano from he went on to train in Indian classical music. He is the NIAA Young Musician of the Year 2018 award winner awarded at the Southbank Centre. His music amalgamates both Indian and western influences. He has performed at the Royal Albert Hall, Symphony Hall to name a very few and collaborations include Mercury Prize winner Talvin Singh OBE as well as Rahat Fateh Ali Khan. Rekesh's world music album ‘Avartan’ reached no.2 position on the iTunes World Charts. He is joined special guest Aref Durvesh (Nitin Sawhney, Sting, Jeff Beck) and internet sensation The Flute Guy who has over 6 Million views on YouTube. Northern Irish singer-songwriter Cíara Rafferty is excited to be releasing her debut EP at The London Jukebox on Thursday 14th March 2019. Featuring a full band lineup and special guests, expect a great night of singer-songwriters, Country, Americana and Folk. Tickets online £5 or £6 on the door. Doors open at 7.30pm! International Women's Day is a global celebratory focus day for women rights, and here at the London Jukebox. We have a fine selection of particularly empowering female voices to help strengthen our celebrations. Curated by London’s boundary-breaking female icon DJ Ritu, we’re joined by the golden voices of Greek music the fantastic duo - Marina Deligianni and Sofia bring the Mediterranean. American rhythms. Keiko Kitamura will be providing powerful Asian koto melodies. of The London Jukebox's finest Indian cuisine. ‘Musicians of SOAS Sessions’ aims to bring the rare and intricate sounds that can be heard echoing through the halls of the School of Oriental and African Studies University - Where musicians the world over know about the niche and obscure availability of music to be learned played and enjoyed in SOAS. We bring a selection of those sounds monthly to the Jukebox for the outer world to enjoy and share in - each month enjoying a plethora of extraordinary instruments, exciting compositions, and bohemian musicians - from the Middle East to Mali, and Europe to India a colonel array of music awaits you at the ‘Musicians of SOAS Series’. This opening session of the ‘Musicians of SOAS Series’ draws on the character of the musical fabric of SOAS. Opening the evening with two solo acts, both creative original and like no other in their own right. Victoria displays unique storytelling music whilst Ailsa add’s a rarity to her compositions on the cello. The second part of the show highlights the vast variability and scope with one of staple music societies: The SOAS Rebetiko society who bring their Greek folk music from SOAS and play the world over. Email - reservations@thelondonjukebox.com | Call the venue - 020 348 99 060. Book as a group to be seated at the same table. Call the venue for more information. Based on a first come served based. Feast your ears on our live music brunch, featuring our brand new Indian breakfast menu, BOTTOMLESS masala chai and some of London's most scintillating global talent. On the 3rd of March we are joined by KADIALY KOUYATE. Kadialy Kouyate is a musician, a singer-songwriter inspired by the West African Griot repertoire. Born into the great line of Kouyate Griot in Southern Senegal, Kadialy’s mesmerizing kora playing and singing style have been appreciated in many prestigious venues as both a soloist and in different ensembles. Since his arrival in the UK Kadialy has played a significant part in enriching the London musical scene with his griot legacy. He has been teaching the Kora at the SOAS university of London for the last decade and he has also been involved in countless musical projects both as a collaborator and a session musician.With his Sound Archive, Kadialy Kouyate draws on his heritage and its traditional songs to create his own mesmerizing compositions, leading his fantastic band into the West African groove.“Senegalese kora virtuoso/singer Kadialy Kouyaté showcases his fleet-fingered skills on this mesmerizing instrument, complementing it with his hauntingly, darkly beautiful voice.” -Time Out London. REVIEWS OF NEW ALBUM NA KITABO“....ADMIRABLE SKILL AND PRECISION. Alina Bzhezhinska is one of the most exciting and dynamic harpists based in the UK. Her imaginative programmes have established her reputation as a harpist of exceptional accomplishment. She has had the honour of playing at European Parliament, at the Queen’s 80th-birthday celebrations at Balmoral Castle and at the King of Thailand’s birthday celebrations in Bangkok. Alina studied at the F. Chopin Academy of Music in Warsaw, Poland (Masters in Arts), and The University of Arizona, USA (Masters in Music Performance). She has performed with many major European orchestras including the Young World Symphony Orchestra, the National Opera in Warsaw and the Scottish Opera. Continuing her career in London, Bzhezhinska has become one of the most innovative international jazz harpists. She has collaborated and recorded with leading jazz musicians: such as Django Bates, Miguel Atwood-Ferguson and Shabaka Hutchings. Alina’s London appearances include Shakespeare’s Globe Theatre, Royal Albert Hall, Ronnie Scott's as well as LIVE performances on BBC Radio 3 and World Wide FM. Her duo with award-winning jazz vocalist Niki King performed as a support act for Gregory Porter. She also performed at the Edinburgh International Harp Festival, North Sea Jazz Festival, Glasgow Jazz Festival and the World Harp Congress in Sydney, Australia. Alina Bzhezhinska Quartet appeared at the London Jazz Festival 2017 in a triple bill performance along with Coltrane’ s specialist Denys Baptist and the legendary saxophonist Pharoah Sanders. This project was nominated for JazzFM Award for best Live experience of the year. Bzhezhinska has recorded a solo album called “Harp Recital” and appeared at recordings of American harp ensemble Harp Fusion and Wisniewski / Stevenson jazz group “New Focus”. Her jazz quartet album INSPIRATION was released to a high critical acclaim by Ubuntu Music in June 2018 . Alina is a harp tutor at Goldsmiths University, London. Be transported to New Orleans with this fiery musical troupe stomping out Country Blues from the Deep South on the cobbled streets of London. 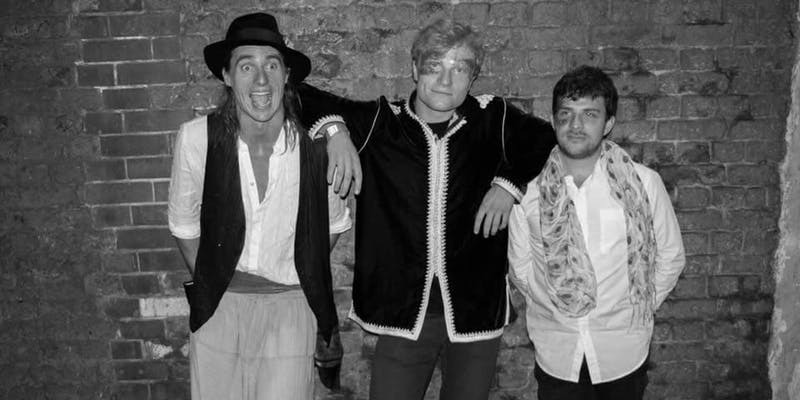 the formation of the band in November 2017, The Sages has played at numerous venues and events such as the Oxford 2018 Chinese New Year Gala, Rich Mix main stage, Sounds of the World concert series in Greenwich & Lewisham Young People's Theatre, The Curious Arts Festival 2018 in Southampton, SOAS Graduation 2018, The Golden Hinde, and were recently featured on an episode of BBC Radio 3’s ‘In Tune’ presented by Katie Derham as well as ‘A World in London’ with DJ Ritu. Tashkezar are a seven-piece band based in London, playing upbeat originals and groovy reinterpretations of favourites from around the Mediterranean. Where Bossa Nova meets Samba. Romance, fine dining, and music to spice up your Valentines Night! DJ Ritu will be providing a magical mix of Bollywood classics and world music ballads – the perfect soundtrack for a romantic evening. ❤️ Food will be served until 10.30pm: Choose from our delicious a la carte menu or a set meal on the day. ❤️ Bring your partner, lover, friends, family or just come and mingle. ❤️ Love is for everyone so everyone is invited. Feast your ears on our live music brunch, featuring our brand new Indian breakfast menu, BOTTOMLESS CHAI and some of London's most scintillating global talent. For our second weekend we are joined by FRAN & FLORA. Major festivals include Glastonbury Festival, Shambala, Secret Garden Party, Sziget Fesztival (HU), Meadows in the Mountains (BU), Rumpus Festival, Vegfest London, Mau Waui, Boxmoor, to name a few, and renowned music venues such as Spice of Life (Soho, London), Green Note (Camden, London), The Ritzy (Brixton, London) as regular guests. De fuego has also headlined a number of UK festivals and performed across Europe including Spain, France, Germany, Italy, Bulgaria and Hungary. De Fuego have received glowing reviews by many world music magazines, including Fatea Magazine, Songlines, F-roots and have hundreds of thousands of YouTube views with the support and following of a loyal fan base. De Fuego have also released 2 albums (see links below) and about to release our new EP.